Life is sweeter behind the gates at Willowcreek... Phase II Closeout Final Opportunities! "Buying a new home should be a time of great discovery. The house you pick will become your home. You'll build a new life in it. At Taylor Morrison, we understand what matters most to you on your home buying journey: value, livability, a great location and homes that inspire. About the Homes We're confident we've created a community that addresses all of these things at Willowcreek at Auburn Hills. We've selected some of our most popular floor plans from across the country and given them the special Dallas flair you'd expect in your next home. Things like open floorplans, large living spaces and gourmet kitchens. And unexpected touches like a gated entry, green spaces and future nature paths that will connect to an extensive trail system in McKinney. We know it's not just about how the home looks, it also matters how it's built. And as America's Most Trusted Homebuilder™ according to Lifestory Research, you can trust us to build the best possible home for you and your family. Our Elements program ensures your home is energy efficient and our team of developers are experts at creating a community that you can be proud to call home. Then there's the neighborhood. 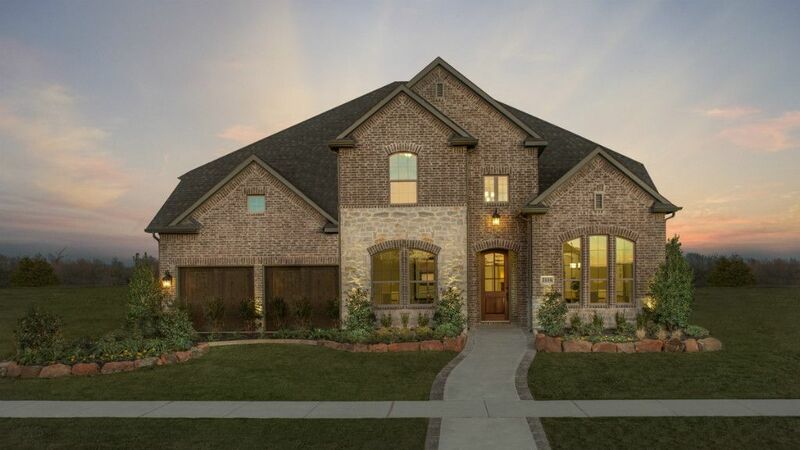 Willowcreek is located in McKinney, one of Money magazine's most livable cities. The city even took home the No. 1 ranking in 2014. Willowcreek is zoned for Prosper and McKinney ISD schools, giving students access to some of the city's best educational programs.